EUR/USD jumped sharply today after the Federal Open Market Committee turned out to be even more dovish than was expected. While most market participants were expecting the FOMC to reduce the planned number of interest rate hikes in 2019 from two to one, the Committee actually dropped plans to hike rates this year entirely. In light of global economic and financial developments and muted inflation pressures, the Committee will be patient as it determines what future adjustments to the target range for the federal funds rate may be appropriate to support these outcomes. 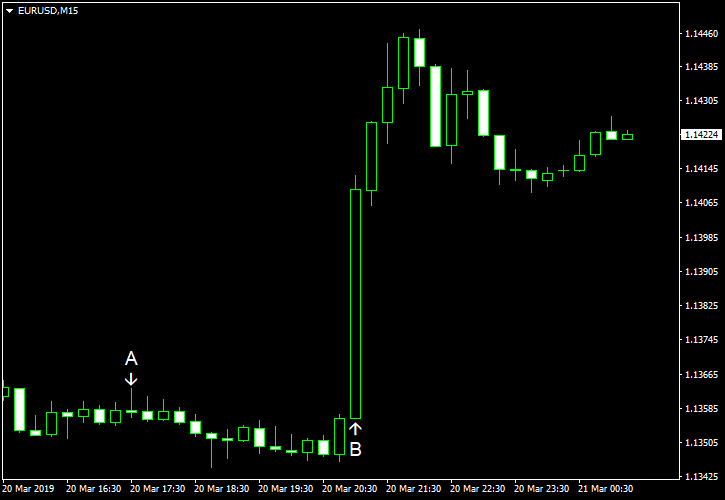 If you have any comments on the recent EUR/USD action, please reply using the form below.